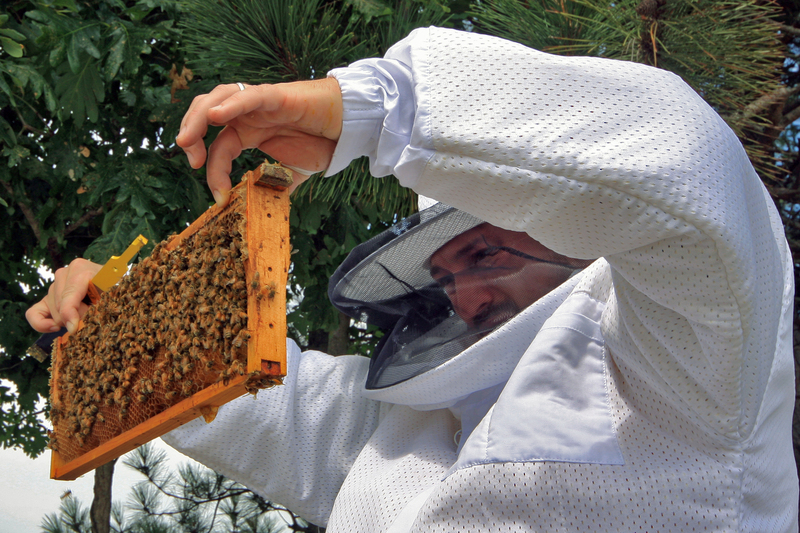 Mike Bianco is an artist, curator, researcher, activist and beekeeper. Bianco’s art practice is invested in socially engaged art, and focuses on issues of politics, environment, sustainability, community activism, energy decline, and the impending “century of crisis.” Bianco’s work has been exhibited in numerous venues, ranging from the Texas Biennial to the Perth Institute of Contemporary Arts, in Western Australia. In addition, Bianco has discussed his practice at a number of academic conferences, including the “Post Natural” conference at the Society of Literature, Science, and the Arts, and (Re)Imagining the Unknown at the South Eastern College Art Conference. Bianco has conducted extensive international research focused on the subjects of food, craft, and sustainability. This research has taken place in locations that include Oaxaca, Mexico, Northern France, Fukushima, Japan, Northern Tanzania and Zanzibar, and the United States. Bianco is also the co-author of “Protecting our Food Systems: Responding to Honey Bee Population Decline in Michigan,” published in the Michigan Journal of Public Affairs in 2014. As a curator, Bianco served as the Curator of New Programs at the John Berggruen Gallery in San Francisco, CA; co-founded Queen’s Nails Projects in San Francisco, CA; founded both the Waypoint Project and MUD gallery in in Marfa, TX; and served as the Associate Curator at Ballroom Marfa in Marfa, TX. Bianco received his BA in Interdisciplinary Arts from Alfred University (2004), an MA in Curatorial Practice from the California College of the Arts (2007), an MFA in Art & Design from the Stamps School of Art and Design at the University of Michigan (2015), and is currently a PhD candidate at the University of Western Australia. Bianco is also an alumnus of the prestigious Dow Sustainability Fellowship, and the only participant to have ever represented the fields of Art & Design.